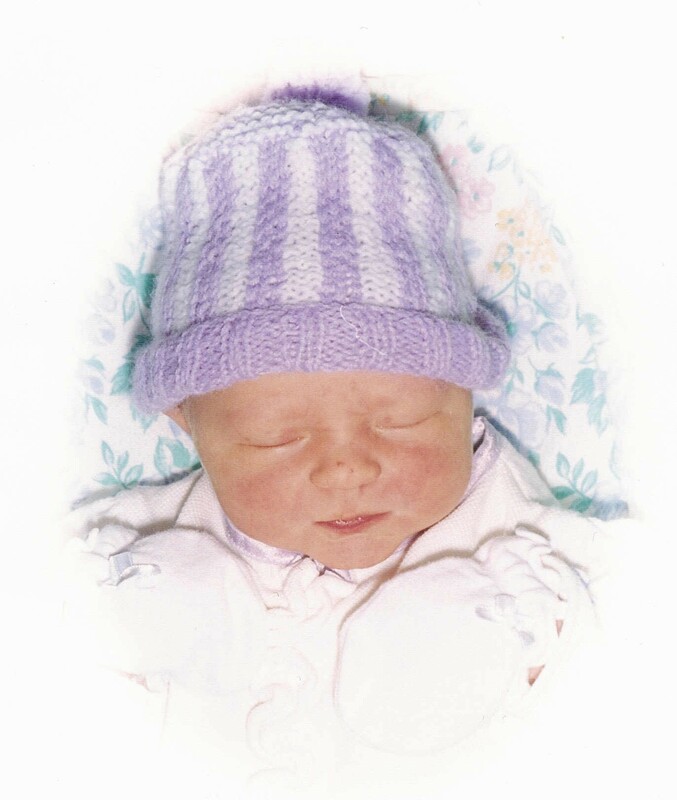 In 2002, 2 days before Mother’s Day, I found out I was pregnant with my daughter, Becca. Talk about the best Mother’s Day gift a mother could receive! I was in shock, excited, and calm. It was right. I just knew it. I had a 14 month old son, and had suffered a few miscarriages. I knew this time was going to work out just right. On Sep. 10th, 2002, we found out she was “likely a girl”. Gotta love small towns. 😉 Her Dad and I ran out to “The Bookie” and bought her a Washington State University Cougar’s Cheerleading Uniform in an infant size. We were thrilled. A boy, Jeffrey, and now a girl! How could things be more perfect?! A few months before I had bought Amy Grant’s “The Collection” CD. (From Columbia House! Anyone remember THAT?! And, yes, CD. MP3s were only on PCs at that time, and in my bedroom while reading, that was not available. You had to be rich to have more than one laptop that lasted more than 2 hours on battery… and wireless network? Hahaha… You’re funny…) From the time I found out I was pregnant with her I was DRAWN to this cd. I can’t even begin to explain it. The same way that while in labor with my oldest son I listened to Keith Green when I could stand noise, with her it was Amy Grant’s “The Collection”. I remember the exact moment like it was 10 seconds ago. I was in chapter 5 of “Bringing Up Boys” by Dr. James Dobson. I was listening to “The Collection” by Amy Grant when I heard a “Pop” and I felt it. The song playing was “El Shaddai”. At that moment I was lying on my left side, looking at the book, when I felt a trickle of fluid run down my left leg and a tear drop down my left cheek. I was crying and devastated. “Dear Lord, this can’t be happening. Please, let this be nothing…” I was just barely past 24 weeks and being just barely past the “Age of viability”, I knew the hospital would do little to help. I jumped up and told my then husband, who was writing a school paper, and called the Doctor. It was just after 2 am. I was sent immediately to the hospital. I was met there by an amazing Emergency staff waiting for me with a wheel chair. They even let me park my car in the place reserved for ambulances. I was taken by wheelchair to the Maternity Ward, holding back my tears. I had been through a late miscarriage before, but nothing like this. I didn’t know what to expect. All the while I sang in my heart and head “El Shaddai”. 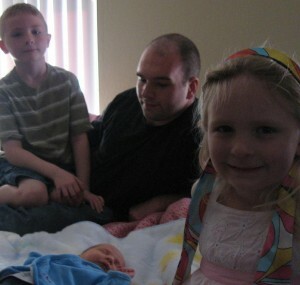 Becca with her step daddy, Jeffrey, and first baby brother, Tommy. Soon after, an awesome midwife was sent in to see me. (I wish for the love of all things holy that I could remember her name. She was amazing and awesome through my entire pregnancy. Hormones, sheesh. 😉 I do know she had a love for all things electronic and was jealous for my then husband’s giant box of a laptop. (It didn’t seem like a box way back then.) If you by chance know her name or a way for me to send her an email or card, PLEASE let me know.) She sat with me for most of the many long hours that I sat there until my fear was confirmed. My amazing family Doctor, Dr Emtman, walked in with sad news. My water, had indeed, broken. I felt so guilty, somehow I was at fault for this. As much as he assured me it wasn’t my fault, I just knew I did this. I still blame myself a little for it… but it happened and nothing will change that. 2 short hours later I was on a helicopter to Spokane, WA. I couldn’t grasp what was happening. I was short on sleep, well, actually without. 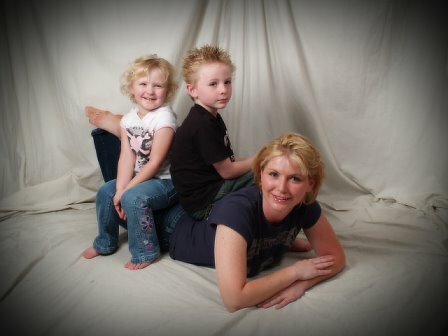 I was without my husband or baby, and on a HELICOPTER! The way it was set up, the helicopter had me looking towards the ground as I laid in the gurney. Freaky? LIGHTWEIGHT! 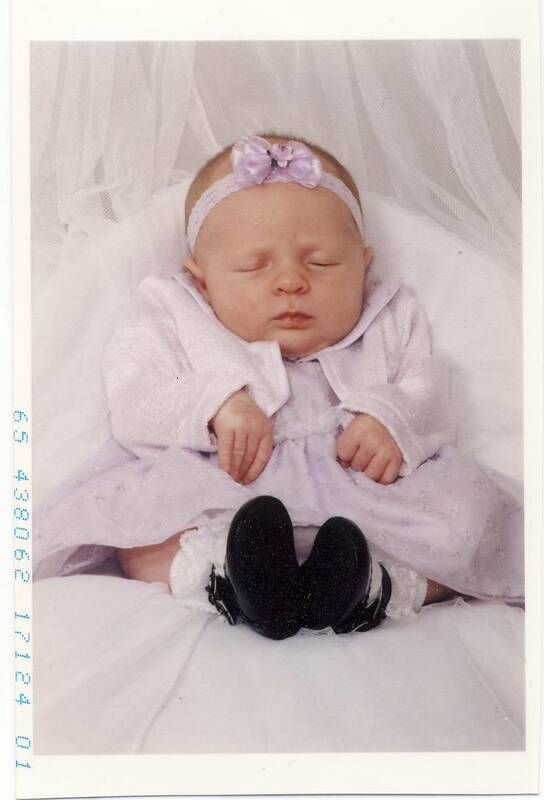 After many months (felt like years) of bedrest, on January 16th, 2003 I delivered a healthy 8lb 3oz baby girly 2 weeks past her due date. Figures, right? She scored HIGH on the apgar scale and after a hearing test scare, she scored fine 2 days later and had little jaundice. Perfectly healthy. She’s the most creative, loving, courageous, steadfast little girl you’ve ever met. She’s a bit of Mommy, a bit of Daddy, influenced by her step parents evenly, and everything in between… yet a distinction of her own. I’d love her no other way. She is the daughter God gave me, and I am blessed.